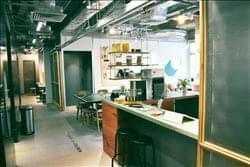 Find My Workspace lists over 95% of the serviced offices & coworking space market in Tseun Wan. Simply click Request Quote to check pricing for one office, or Add to Basket for multiple offices. This centre allows your company to grow, reduce or relocate with minimal disruption to your core business through these fully serviced offices in Hong Kong. Offering both short and long term leasing, this centre covers all your office space requirements. Reduce your operational expenses and eliminate the burden that comes with managing staff by joining this Business Centre. You will become part of a diverse, vibrant office community and have the opportunity to form great business and social networks for you and your team. This centre have long term dedicated staff and are willing to assist with any your business requirements. They treat your business as their own, providing courteous, professional service with a smile. Within 24 hours you and your team can move in and have a fully operational serviced office space. Your serviced office will be set up to suit your requirements and your telephone answered in your company name. All you have to do is work on your business and they worry about the rest. A well-equipped co-working space. The centre is excellent for office, meetings and events. It can be tailored to cater for your business needs. The interior is modern and stylish. Drinks and snacks are available. Sizeable windows allow plenty of natural light to reach the space and a nice sunset sea-view. There is a printing and scanning service. Lockers are accessible. To obtain information for your selected Tseun Wan Serviced Offices & Coworking Space, please tick the "Add to basket" box for each office you prefer and complete the form below. We will then send a detailed report via email.